This listing is for 10 Tractor Soap Favors. Available in your custom colors and scents. 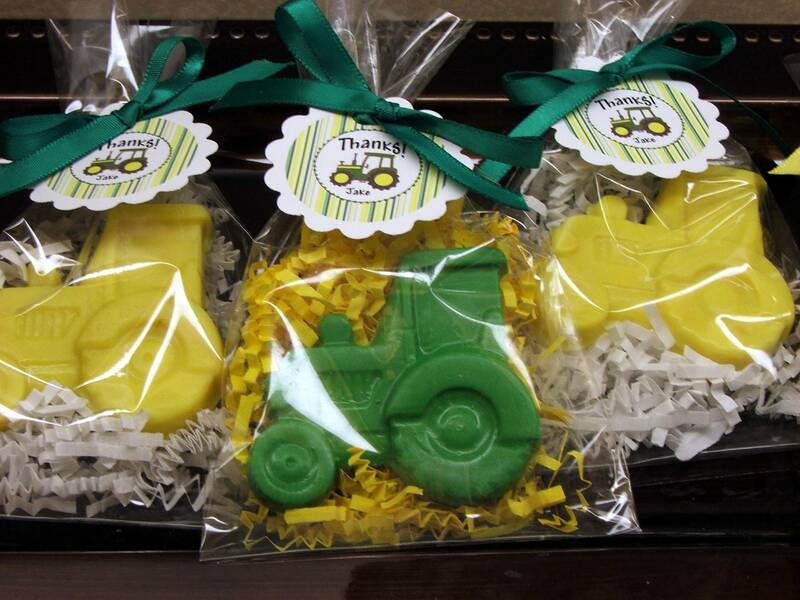 Each favor includes one tractor soap measuring 2.75 inches tall and 2 1/2" tall and apx 1/4" thick . Soaps are made from our shea butter soap base and are shown in yellow and green, but these can be made in other colors. 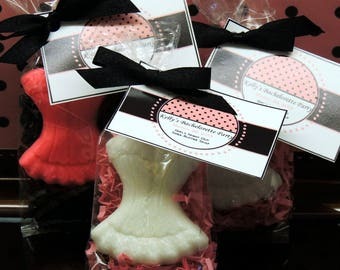 Choose one color and one scent from our scent list (last picture) per set of 10. 2) SOAP COLOR(S): Choose up to two colors per set of 10. The kids just loved them!